Flatten the turkey breast with a mallet to render it thin enough to roll it into a ball. April is a special time in the Carolinas. Winter is over, and the few cool mornings are pushed away pretty quickly by warming sunshine. The warm days bring out a lot of sportsmen. 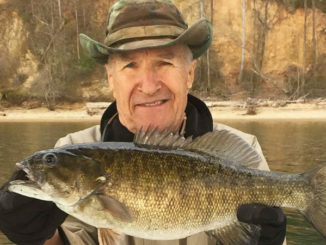 Fishing opportunities abound from the tallest mountains to the deep drops of the Continental Shelf. A few hunters may be enjoying chasing varmints, but April is turkey time. Turkey restoration is a huge success story in both Carolinas. Wild turkeys live in every county in both states. Hunters who look forward to matching wits with a wise, old gobbler now have opportunities everywhere. The right yelps and clucks will invite Tom Turkey home to be the guest of honor at dinner. Turkeys are one game bird most family members will try. Maybe it’s because their first exposures were to beautifully browned turkeys at Thanksgiving, but many folks unwilling to try other game will sample turkey. Because of this, we need to be at the top of our game when preparing a wild turkey for the table. Many hunters only breast out their turkeys, and they’re missing some good eating. I like to keep the legs and wings for a variety of things, but this is a recipe for those folks who only keep the breasts. It sounds enough like something they’ve enjoyed with chicken to get most folks to try it. Hopefully, they like the differences a little better than the original. If you still have a turkey breast in your freezer from last year, you need to get it out and fix this recipe soon. It’s time to be adding fresh meat for the coming year. If you enjoy wild turkey as much as we do, the cupboard is bare, and you’ll need to slip into the woods and use your best sweet purrs and come-hither yelps to convince one to walk within range of a magnum load of shotgun pellets. A fresh young gobbler will almost always be better table fare, but this recipe can soften up an old bird and have him tasting primo. In addition to being tasty, this recipe is also pretty simple. There are numerous steps, and it takes a little time because of marinating the breast, but it’s definitely not difficult. It’s simple, and it’s good — that’s about all you can ask for. The most-difficult thing is not overcooking it. That’s a cardinal sin and will dry it out and make it tough. The marinade tenderizes it some and helps keep it moist, but it’s not infallible. The turkey I used for this recipe had two things going against him. He was an old bird, with longer spurs that were beginning to hook. 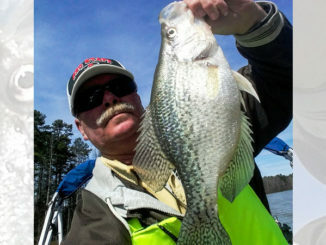 He was also heavy at 23 1/2 pounds, and sometimes this combination means the bird can be tough and stringy. The other thing was, he came charging in to a jake decoy and jumped to the side as I dropped the decoy and shot. It wasn’t torn up badly, but this side of his breast caught the edge of the pattern at a strange angle when he jumped. I trimmed some and pulled feathers from several holes and even pulled one No. 6 pellet out of him. My hope was the pellet holes and judicious use of the rough side of the mallet would allow the marinade to penetrate into the inner muscle and keep it moist and help with tenderness. The “almost” in the recipe name gives away that this is not simply cordon bleu made with turkey. It uses the marinade, prosciutto instead of ham, different cheeses and spinach leaves. It’s almost cordon bleu, but just a little different to suit personal tastes. 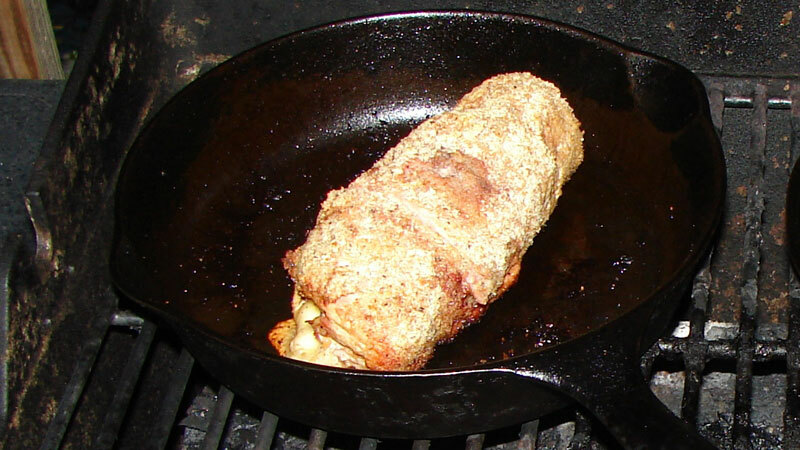 Once stuffed and rolled, the turkey breast is ready to be coated in bread crumbs. This breast was so large, I cut it into two pieces and made two rolls. The one for my wife was stuffed with jarlsberg cheese, and mine was stuffed with pepper jack. Feel free to experiment. One reminder is, in order to avoid overcooking. Some cheese will run, and it will crust, but you must get the turkey cooked. But If the turkey is overcooked, it will be dry and tough. Take your time, enjoy an adult beverage around the grill as the sun begins to set and enjoy this. 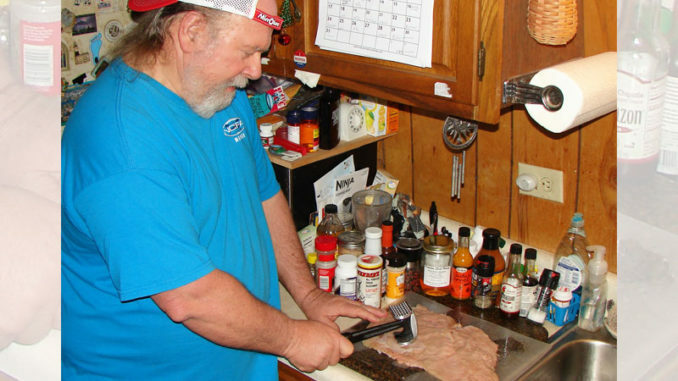 Use the flat side of a meat mallet to flatten one side of a turkey breast to approximately 1/4- to 3/8-inch thick. Put the turkey breast in a ZipLock bag and add enough zesty Italian salad dressing to cover it. Press all the air out and seal the bag. Put the bag in the refrigerator and marinate for at least 2 hours. Add a couple of shots of rum and marinate longer for an older turkey. Remove the breast from the bag and flatten again, this time by pushing down rather than swinging the mallet. Cut the breast into two manageable sections. Sprinkle the breast pieces with salt and pepper to personal taste. Cover the breast pieces double or triple layers with prosciutto. Cover the prosciutto with cheese, leaving a few small gaps between slices. Use jarlsberg on one piece and pepper jack on the other. Cover the cheese with spinach leaves. Roll the breasts up and peg closed with toothpicks. 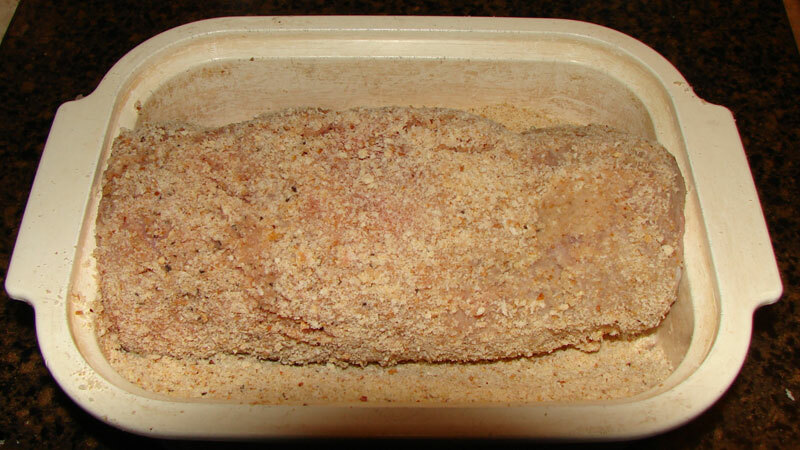 Put some plain bread crumbs in a container and roll the breasts in the bread crumbs until they are well covered. Spray a cast-iron frying pan (or pans) with non-stick cooking spray. Place turkey breast(s) in frying pan. Preheat grill to medium. Cook approximately 35 to 45 minutes. This will vary with each grill and turkey. Once the middle of the rolled turkey breast reaches 165 degrees, cut off the heat and let it set for about 10 minutes. Serve while warm. Turkey cordon bleu (almost) should be cooked for 35 to 45 minutes on a medium grill, then sit for 10 minutes. A lettuce wedge or green salad is a nice start to this meal. Mashed potatoes or a baked potato accompanies it well on the plate, and hot bread pudding is the ultimate dessert. 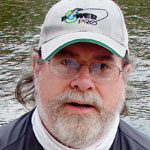 Jerry Dilsaver of Oak Island, N.C., a full-time freelance writer, is a columnist for Carolina Sportsman. 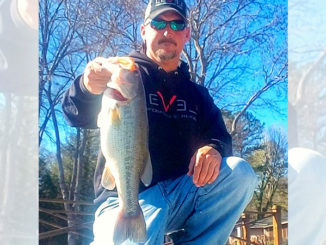 He is a former SKA National Champion and USAA Angler of the Year.